The talking heads of ESPN and countless other sports outlets have spoken … and they clearly don’t want to see Peyton Manning and the Denver Broncos in Super Bowl 50. And while I got my wish of New England having to return for a Mile-High rematch in the AFC championship game (amid a chorus of “be careful what you wish for” from my lunatic fringe Pats-fan friends), I would guess there are a probably even some Broncos fans who don’t want to see Denver back in the big game. I know the feeling. In the 1970s and 80s, each Denver Super Bowl appearance was increasingly embarrassing for the city and the state. I wasn’t here for the first loss to the Cowboys in 78, but as a kid growing up in Denver in the 80s, I’ll never forget John Elway’s three humiliations at the hands of the Giants (87), Redskins (88) and 49ers (actually that last 55-10 drubbing was in January of 90). At that point, Denver was 0-4 in Super Bowls and had never even been remotely competitive in any of those games. We were the Minnesota of the 80s, tied with the Viqueens for futility in the big game after their 0-4 showing in the 70s. And the Buffalo Bills became the Broncos of the 90s by losing a mind-numbing four straight Super Bowls – only one of them by a close margin. But let us not forget that in the midst of a 13-game Super Bowl losing streak by the AFC to the NFC, the New England Patriots kicked off their illustrious Super Bowl history with an awful 46-10 beat-down at the hands of Jim McMahon’s Super Bowl-shuffling Chicago Bears in 1986. Pats fans might not have been too psyched to go back after that, and they wouldn’t again for another 11 years. That’s when Brett Favre and the Packers smacked them around to the tune of 35-21 in 97. At that point, New England was 0-2 in the big game and on its way joining the Vikings, Broncos and Bills in the Super Bowl Hall of Shame. That was also the year that Elway, with Mike Shanahan back as his head coach, was supposed to finally go all the way with a dominant defense and an overpowering running game – until Mark Brunell and the expansion Jacksonville Jaguars came to town and totally stunned the Broncos in the playoffs. Believe it or not, some Denver fans were actually relieved. An early exit in the playoffs meant no abject humiliation on a national stage. But back of mind, true fans wanted redemption, needed it for the sake of the city and the state. And it made Elway’s triumph over Favre and the Packers in the 98 Super Bowl all that much sweeter. So much heartache and collective community angst was released in one helicoptering hit at the goal line. Making it even sweeter was that the Broncos broke the AFC losing streak and were able to do what the Pats couldn’t do the season before. Then in 99 came another Super Bowl victory in dominant fashion over former Broncos’ coach Dan Reeves and the Atlanta Falcons – a team that kept the best Vikings squad ever from getting its redemption – and Elway went out on top. At that point in 99, with the millennium about to flip over, the Broncos were 2-4 in Super Bowls and the Patriots were a woeful 0-2. Then New England starter Drew Bledsoe got injured in 2001, and in came a sixth-round draft choice named Tom Brady. Fifteen years later, Brady surpassed Elway and became the only QB to reach six Super Bowls, winning four of those games. In that same timespan the Broncos struggled, running through an unremarkable string of quarterbacks and usually missing the playoffs or being knocked out of them by Peyton Manning and the Indianapolis Colts, or Brady and Patriots. 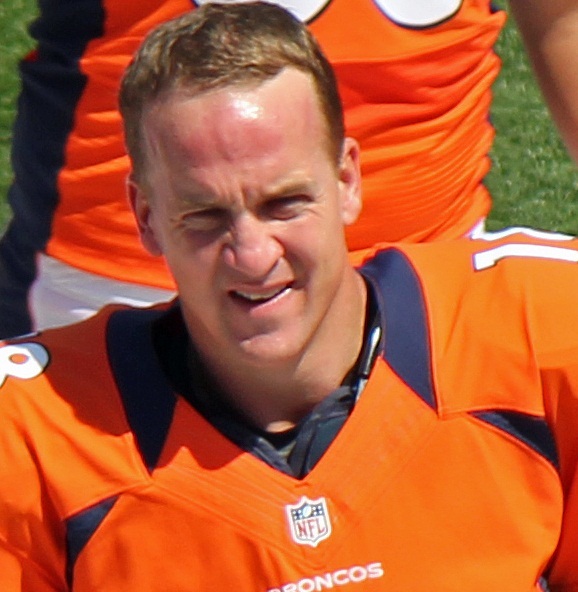 When Manning signed with the Broncos four years ago and showed no real rust or drop-off in skill following four neck surgeries, it seemed realistic to expect his new boss, Elway, would earn a third Super Bowl ring – this time as an executive who built an incredible offense around Manning. And finally, two years ago, it looked like Peyton might join little brother Eli (the Giants killer who twice topped Brady in the Super Bowl) and earn his second Super Bowl ring. Peyton knocked off the Patriots in the AFC championship game before getting absolutely waxed in the Super Bowl by the Seattle Seahawks. Then, insult to injury, the Pats won another one last year. That 13 Seahawks game gave my sons the same feeling I had as a kid in the 80s – that sick-to-the-stomach, I never want to go back feeling – and it made the Broncos a less-than-stellar 2-5 in Super Bowls, with the Pats jumping to 4-3 last year. Elway learned, though, that the only way to win the Super Bowl is the same way he did in the 80s and the Patriots did it throughout the 2000s: load up on defense and come in with just enough offense to edge the opposition. That’s the way this squad is built, somewhat like the 90s squads, sans the dominant line and standout running back (please, HOF, finally put Terrell Davis in). And if these Broncos get past the Pats (and I admit that’s a big if even with home-field advantage), and if Peyton forgets even for a moment that he’s now Trent Dilfer, then Gary Kubiak has to know that Brock Osweiler is more than capable of not only beating the Pats, but also taking down whoever emerges from the NFC. It would have been sacrilege to even consider it back in the day, subbing Kubiak for Elway during those late 90s playoff runs, but Peyton is a shell of his former self compared to where Elway was toward the end. If Manning falters at all, the former backup QB who’s now the head coach needs to know that his quarterback of the future can get the job done. And in the end, it would still count as a Peyton Manning Super Bowl run, and a third victory in the big game for the Broncos. None of us should be afraid of that.